Again the hardest part is choosing the fabrics! There are many ways of creating HSTs. I’m not advocating that the following is the best way it is what I prefer and what works best for me. To look at other ways I’ll pop some links later in the week over the Flickr group. 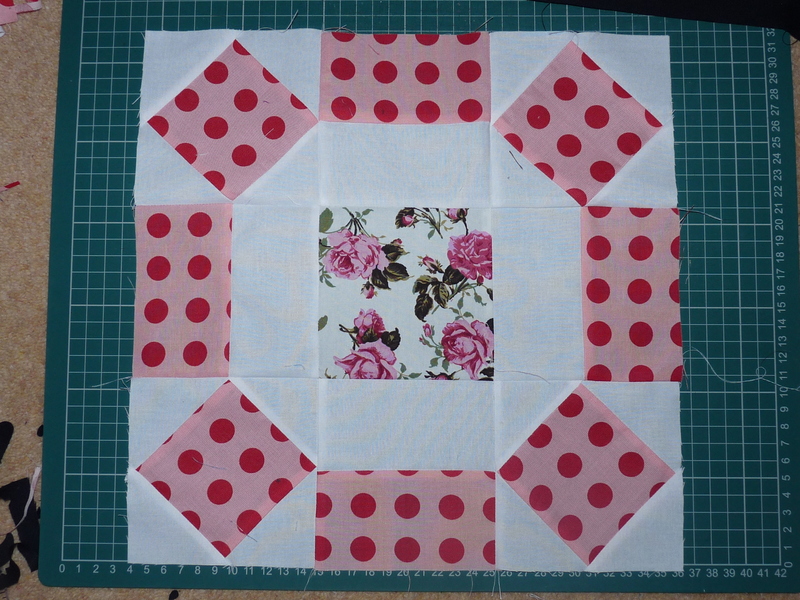 To start first work out the size of your finished square when sewn together. 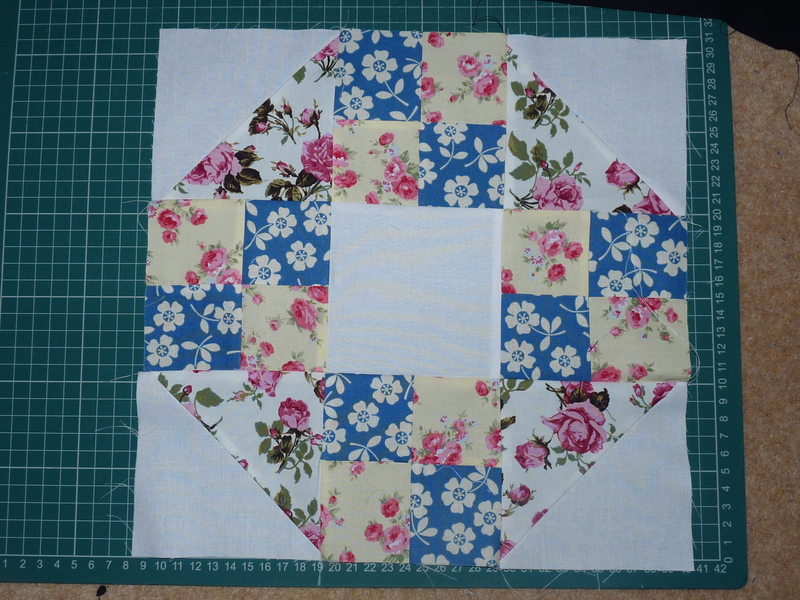 Add on an inch to cover seam allowances and start cutting your squares. 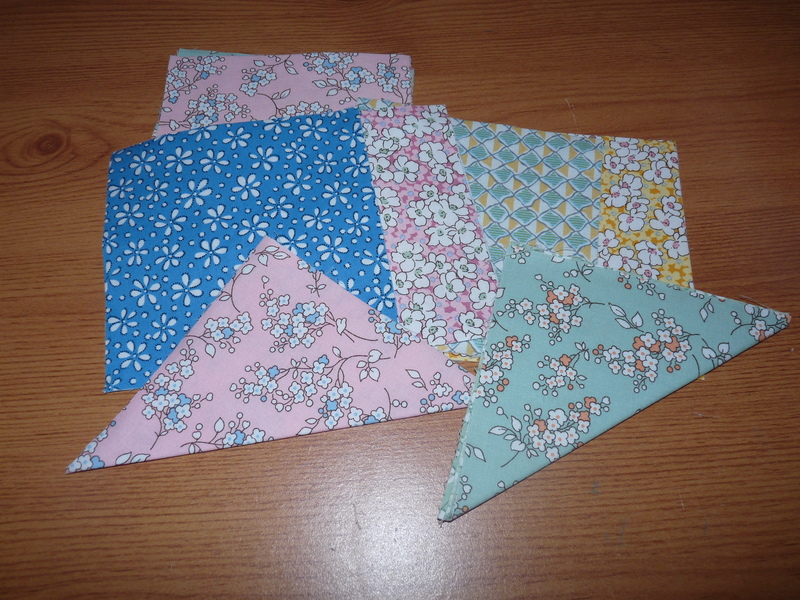 What I’m making here each square finished will be 1.5″ so I’ve cut a load of 2.5″ squares. But if you want your finished squares to be 5″ start with 6″ squares. On the wrong size of a square use a ruler and pen (quilters pencil, air erasable pen or just a Frixion pen) to mark a diagonal in the square. This will serve as a guide for sewing your seams. Place two squares RST (right sides together) lining up the edges. You are going to use the line you have drawn as a guide and start sewing a seam to one side that is an scant 1/4″ from the line. Make sure you sew as straight as you can. If you are doing more than a few! 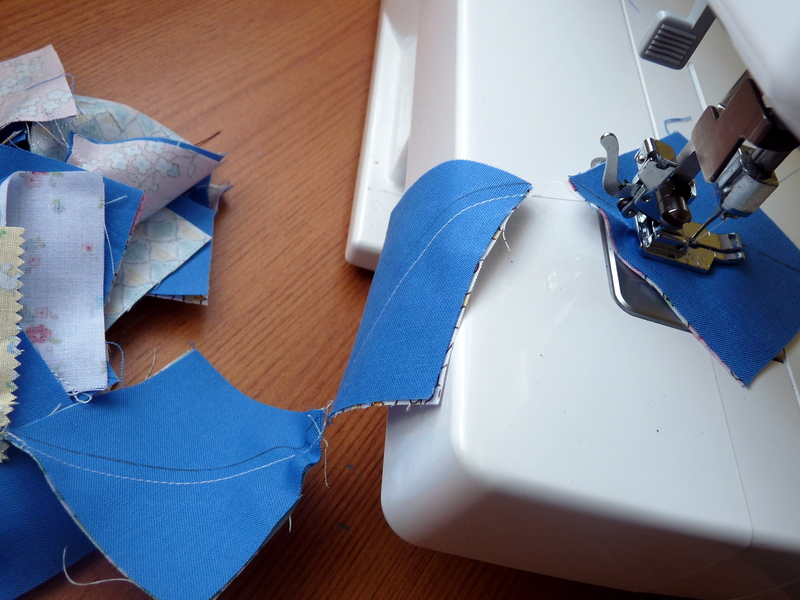 To speed up the process and save thread you can do what is known as chain piecing. Basically once you have sewn the seam on your first square instead of cutting the thread, line up your second square and go! Between each square make sure your needle has finished its round though. 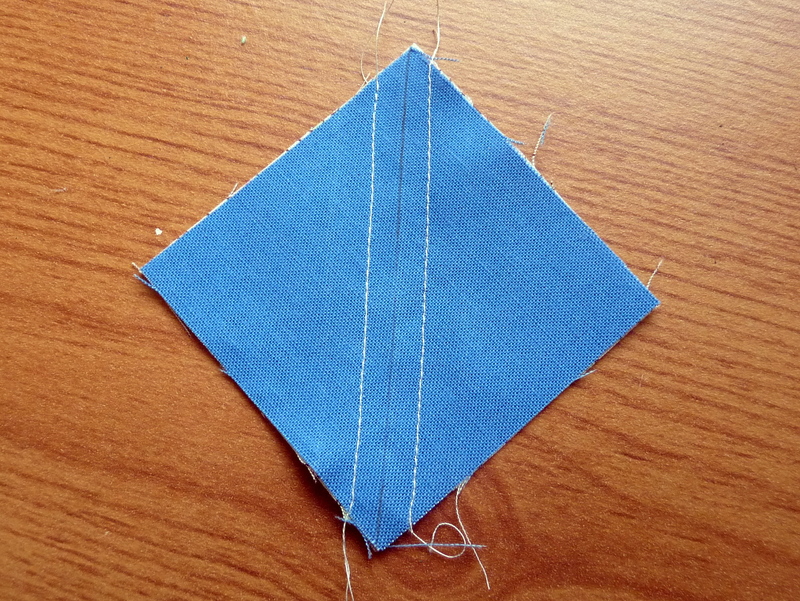 When you have done that simply turn your square round and sew a scant 1/4″ seam on the other side of the line. Now I forgot to take photos of the next process…. 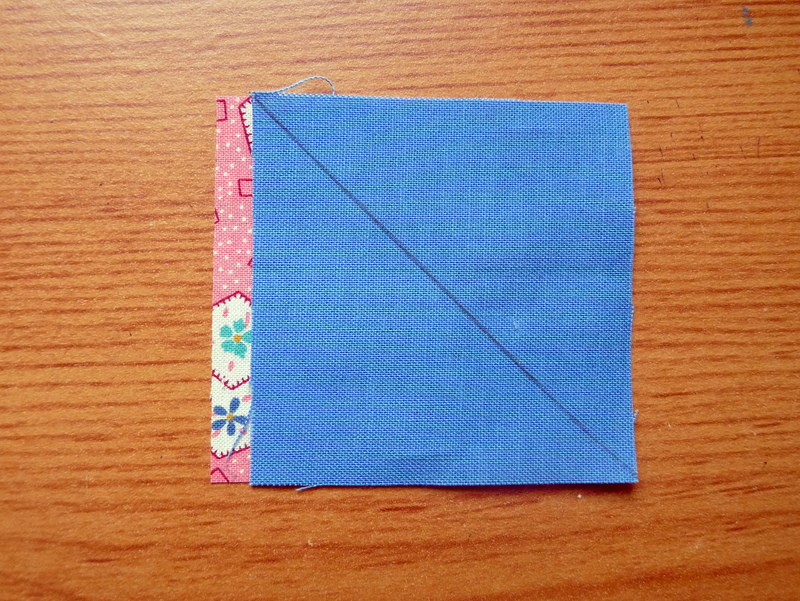 Cut along your drawn line to have two pieces. 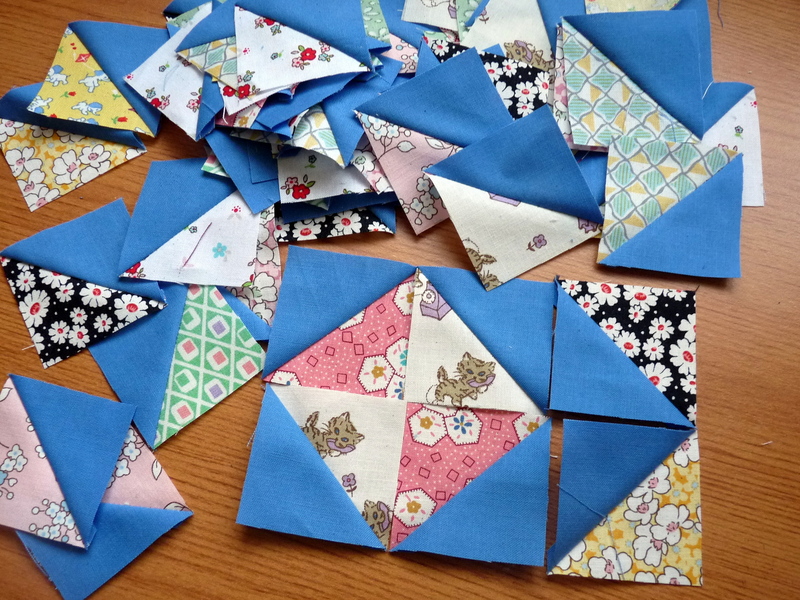 Using your iron set your seams and then press open the triangles to get one square block! Trimming…. 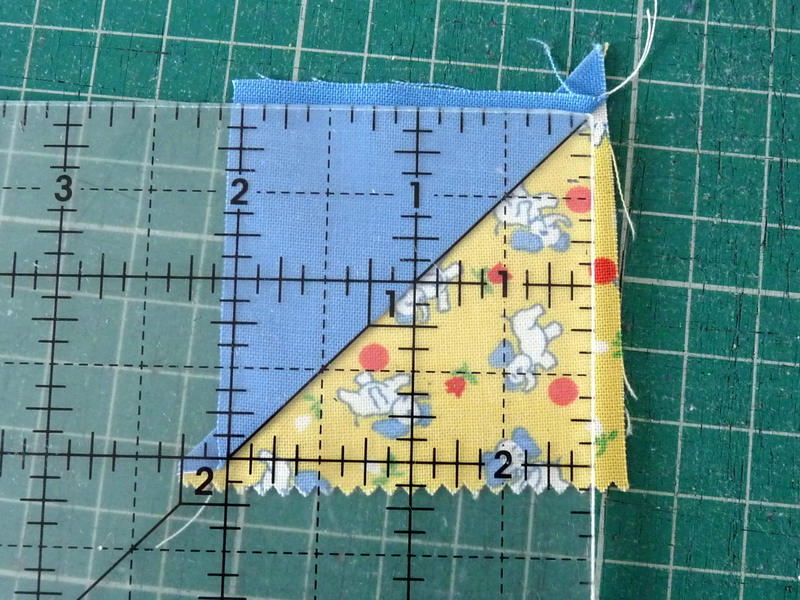 If you have a ruler with a 45 degree angle line align the line with the diagonal on your block and trim your HSTs. 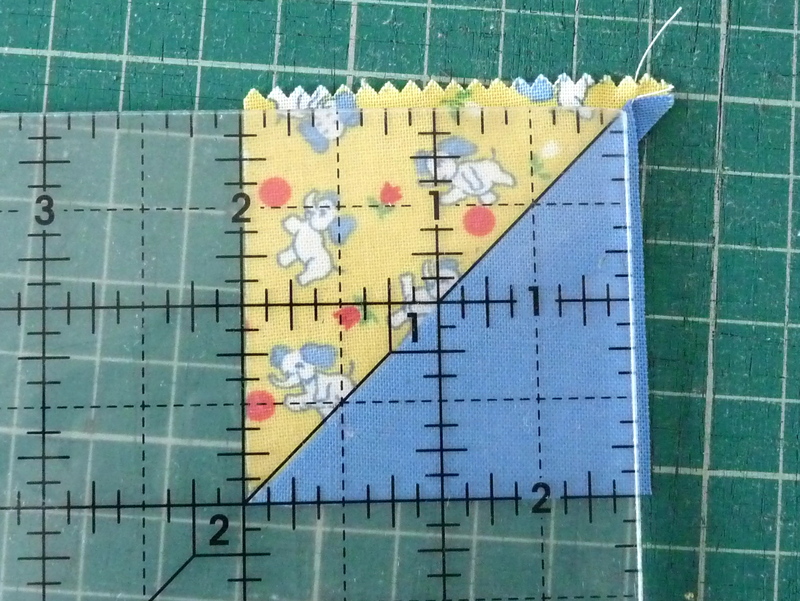 As I started with 2.5″ squares I want to trim these to 2″ exactly to ensure my sewn sections will be 1.5″. Flip over and trim the other side. 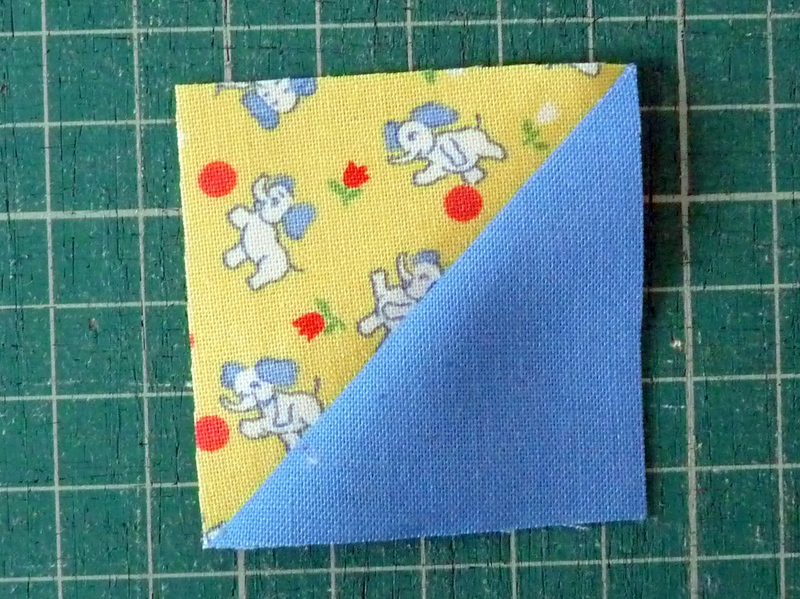 And there you go one lovely looking trimmed square ready for use. Do you like my pile? I’ll share some tutorials over the next couple weeks on the sort of blocks you can make and how to turn a block into a cushion or a mini quilt. Wow thank you all for commenting and joining in with the quilt along. It should be a lot of fun and can’t wait to get started. 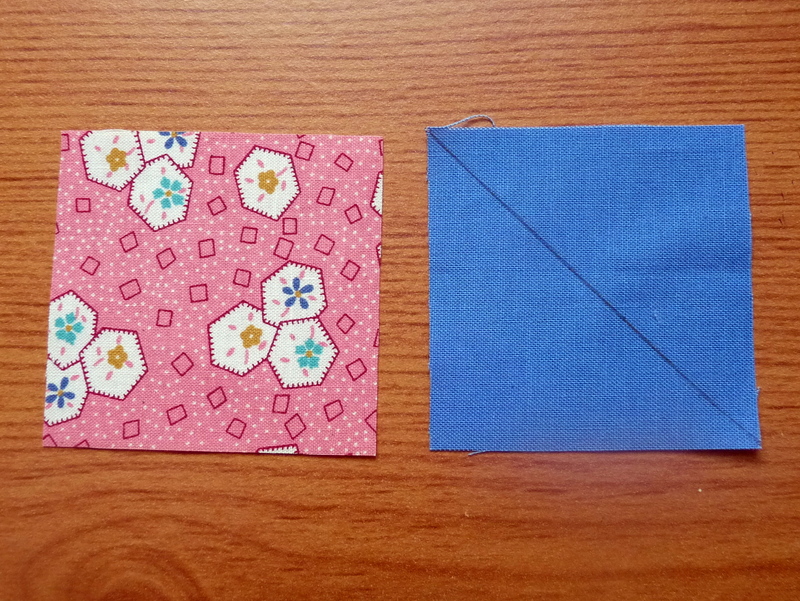 Some “basics” posts will be this week along with a tute on HSTs with a project for the weekend. I’ve not been slacking over the weekend seems my sewing mojo has resurfaced big time. November is creeping closer and I’m Queen Bee over on the Bee Europa 2013 bee and needed to sort things for that like yesterday. For those who don’t know the Bee Europa Bee you send fabric and a pattern to a few others who will make it up for you and send it back. It’s a lot of fun! 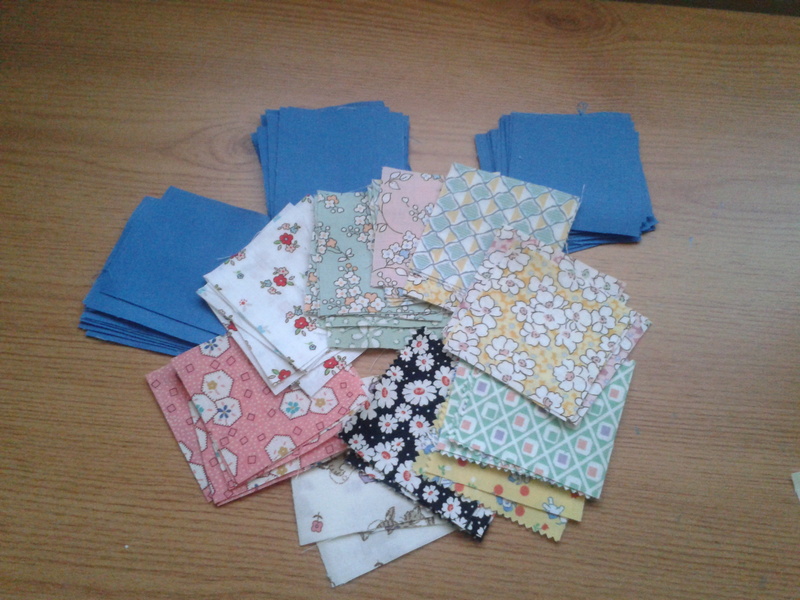 So far the ones I’ve done for other members have been nice makes and even though I would love to hand over some paper piecing blocks.. they are labour intensive and didn’t feel that would be fair. This block has haunted me since I saw it a couple of days ago when I came across some “Farmer’s Wife” blocks. When I did the square in a square in my early days it was a disaster… but I’m quite pleased at how my points turned out and I hadn’t cut any corners off! This is my own take on the FW block and I sized it to be 12″ finished. Another block that I have become obsessed with thinking about this week ever since I saw it on my IG feed and watching Camille Roskelley Stashbuster video on youtube. Again I’ve sized this to be 12″ finished. 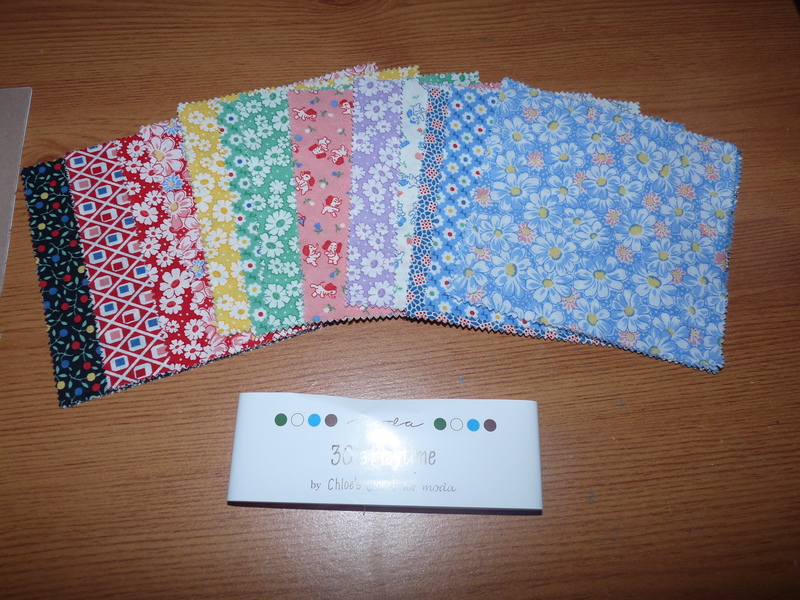 Next is deciding on fabrics to send for the bee- am def liking the idea of 30s repros combined with Kona Snow. Either Mother’s Melodies by Darlene Zimmerman. Or 30’s playtime by Chloe’s Closet. 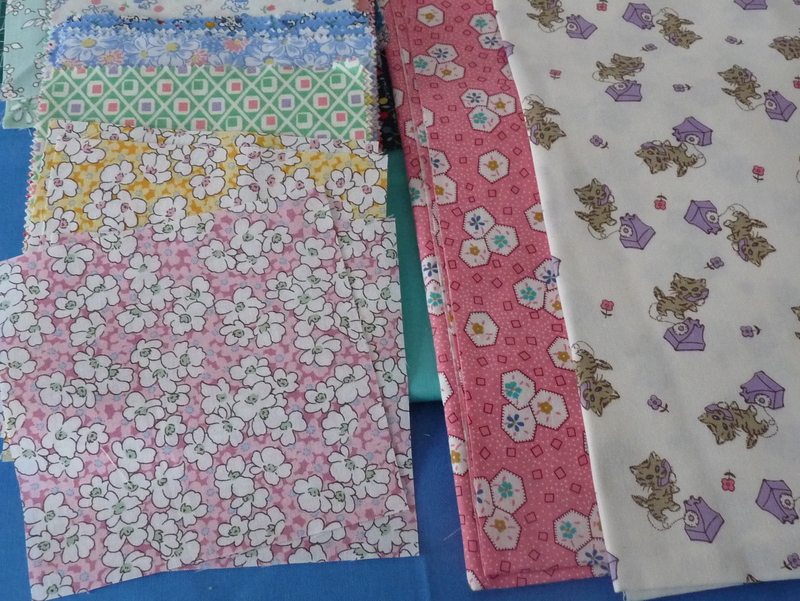 Mmm decisions decisions- what block/fabric combo would you choose? Promise I will show you what else I’ve been working on soon!